H. Rick Bamman -hbamman@shawmedia.com Firefighters cut a hole into the roof to vent the attic of the home at 906 Garfield in Harvard. H. Rick Bamman -hbamman@shawmedia.com Firefighters pour water into the home. 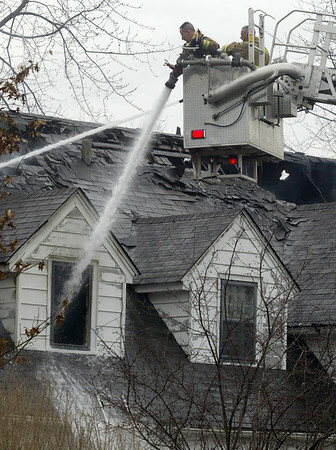 H. Rick Bamman -hbamman@shawmedia.com Firefighters pour water into a home at 906 Garfield in Harvard Thursday morning. 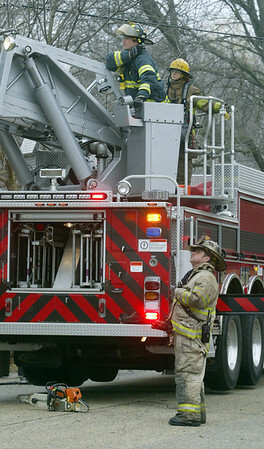 Fire units from Hebron, Walworth, Fontana and Sharon, Wisc., Capron Richmond, Linn Township, Boone County, Lakewood, Marengo and Woodstock provided assistance. 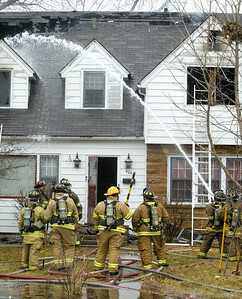 H. Rick Bamman -hbamman@shawmedia.com Firefighters stage at the front of the home. 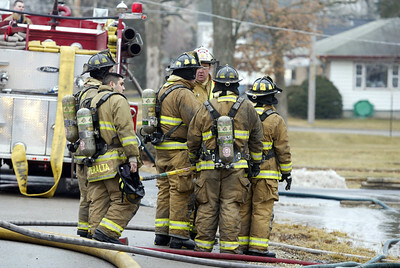 H. Rick Bamman -hbamman@shawmedia.com A group of firefighters are briefed before entering the home. 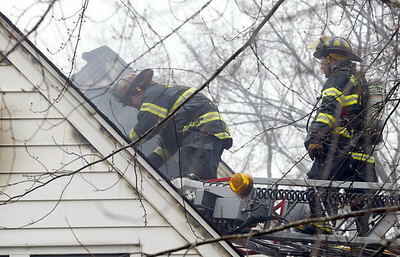 H. Rick Bamman -hbamman@shawmedia.com Firefighters watch colleagues work on the roof of the home at 906 Garfield in Harvard. 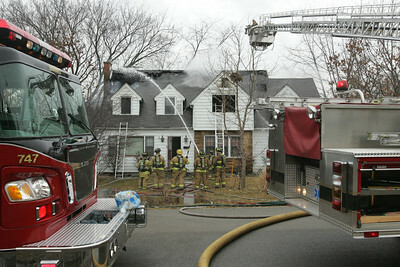 H. Rick Bamman -hbamman@shawmedia.com Firefighters pour water into a home at 906 Garfield in Harvard Thursday morning. Fire units from Hebron, Walworth, Fontana and Sharon, Wisc., Capron Richmond, Linn Township, Boone County, Lakewood, Marengo and Woodstock are providing mutual assistance. 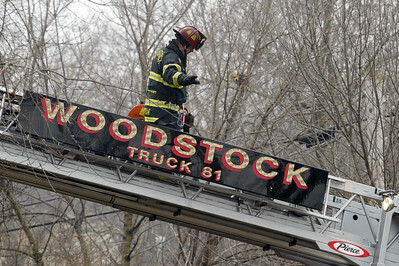 H. Rick Bamman -hbamman@shawmedia.com A firefighter makes his way back down after cutting a vent in the roof of the home. 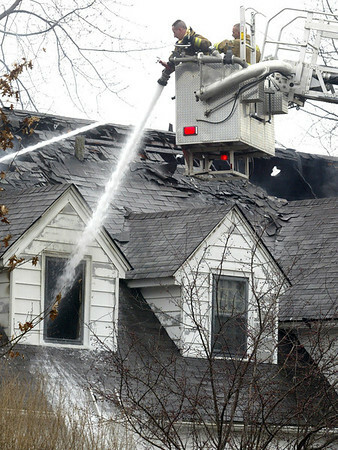 A firefighter makes his way back down after cutting a vent in the roof of the home.